The saying goes; a picture is worth a thousand words. We think when it comes to statistics and kids that saying is absolutely true! The National Energy Education Development Project (NEED) has compiled a variety of US maps with all sorts of energy statistics on them. Want to know where the US coal basins are located? There’s a map for that. Want to know what state consumes the most energy? There’s a map for that too. Want your students do learn comparison skills? Have them compare the states with the largest population to the states that consume the most electricity. Have each student compare their home state with another state. NEED even gives you a few activity ideas complete with tables and critical thinking questions. The activities that correlate with these maps are endless! Join the conversation and let us know how you plan to use these maps in your classroom! You can connect with us on Twitter at www.Twitter.com/Energy4me! Join the conversation on Facebook— www.Facebook.com/Energy4me. 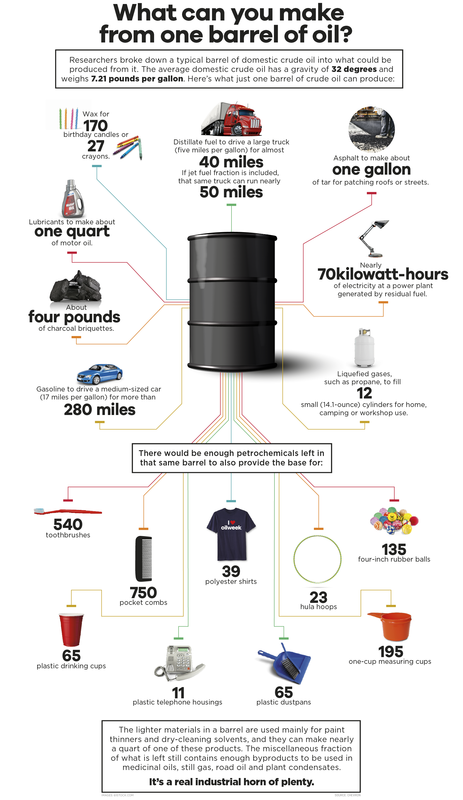 School’s in… Start Lesson Plans with Oil (Petroleum) Basics! The summer is almost over and the students are headed back to school: eager to learn and teachers eager to teach! Something Energy4me has noticed in schools is that students are always very enthusiastic about learning the oil basics, particularly, how oil was formed. Well, here we lay it for you courtesy of the U.S. Energy Information Administration. Crude oil is a smelly, yellow-to-black liquid and is usually found in underground areas called reservoirs. Scientists and engineers explore a chosen area by studying rock samples from the earth. Measurements are taken, and, if the site seems promising, drilling begins. Above the hole, a structure called a ‘derrick’ is built to house the tools and pipes going into the well. When finished, the drilled well will bring a steady flow of oil to the surface. Learn something you didn’t know? Join the conversation and discuss with us on Facebook— www.Facebook.com/Energy4me. You can also connect with us on Twitter at www.Twitter.com/Energy4me. How’s your summer? Taking any time to partake in energy education? Not only can cool energy sites like an offshore oil rig or a hydropower plant be fun, they can also be stimulating and enlightening! This recent quest from the “Energy Ant,” who takes adventures combing for interesting energy-related sites of interest to students and teachers, gives insight into how learning is fun, relatable and interesting. Here’s his journey to the Anadarko Drilling Rig to learn how a drilling rig works. Give it a read! We visited Kerr McGee’s oil-and-gas drilling rig (recently sold to Anadarko Petroleum)! Thanks to the Colorado Oil and Gas Association, we were able to see how a drilling rig works. The rig is powered by a huge diesel engine. Next to the rig, there is a little white building, called a doghouse, from where the drilling is monitored (and where rig workers take breaks!). New technology is used in the oil industry all the time. One way drilling has become more efficient is through the use of directional drilling. At this site, this method was used to reach an oil reserve under a small wetland — instead of having to place the rig directly above the oil. And in the wetland, drillers were able to come in from the side without disturbing the wetland. The stuff that comes up from the ground during drilling isn’t just oil, though. It is actually a mixture of oil, gas, and water. The mixture is sorted out by a three-phase separator, which has a computer run by a photovoltaic (solar) cell. After the oil is separated from the water and gas, the oil moves by pipeline to a refinery where it will be turned into products like gasoline, diesel fuel, and heating oil. What do you have planned this summer? Join the conversation and discuss with us on Facebook— www.Facebook.com/Energy4me. You can also connect with us on Twitter at www.Twitter.com/Energy4me. The Earth gives us everything we need! Let’s celebrate our wonderful Earth on April 22! Earth Day activities vary around the world—from college campus demonstrations to recycling drives to clean-up events—but all are dedicated to the same goals: a healthy environment, clean energy options and a greener future. SPE’s Ghana Section is committed to energy education! The Society of Petroleum Engineers (SPE), Ghana section, is growing and gaining momentum! With a growing membership and an enthusiastic board, they have made the commitment to make a difference in the oil and gas industry while doing something good for their community. The Ghana section will be supporting 10 schools in Accra and 10 schools in Takoradi with energy education materials including energy4me books and kits as well as classroom presentations. SPE encourages all its members and sections to educate the public about energy and put a face on the industry. Energy is a critical issue worldwide, and SPE believes face-to-face contact is the ideal way to spread the word about energy conservation, the future of the oil and gas industry, and its impact on the planet. The energy4me books and kits donated to the Ghana section were sponsored by energy4me, SPE’s energy education outreach program, and Colin Black, SPE EIC member and Director, Optima Solutions UK Ltd.
SPE and energy4me would like to thank the Ghana section in their energy outreach initiatives. Together, we can make a difference by sharing the facts about energy with the public and putting a face on the industry. Learn more about energy and energy careers. The picture to the right shows the SPE Ghana board members and British High Commissioner, Mr. Peter Jones. SPE Dallas Section Hosts Science Teacher Barnett Shale Field Trip! The Society of Petroleum Engineers (SPE) Dallas section took local science teachers on a Barnett Shale field trip Thursday, November 18, 2011. The tour started off at the Ellison Miles Geotechnology Institute (EMGI) where Dallas section members Toni Lott, Brad Robinson, Deborah Hempel-Medina, Brian Chacka, and Patrick Crawford made a presentation covering the history of Oil and Natural Gas, Geology and the History of Barnett Shale, Drilling a well, and Hydraulic Fracturing. Teachers were engaged in the presentations and asked the presenters a lot of questions to get a better understanding of the industry and how they could relay the information to their students in the classroom. After the overview, everyone was styling in their safety gear as they prepared to go out into the field. Each participant wore steeled toed boots, fire retardant overalls, safety glasses, ear plugs, and hard hats. The teachers were able to visit three sites where they learned firsthand about safety, advance technologies, and rules and regulations all involved in operating each site. The sites teachers visited are listed as follows. After a full day of touring, teachers headed back to the Dallas Convention Center full of knowledge about the industry, their hard hat as a souvenir, and information to take back to their classrooms that included an “Oil and Natural Gas” book. This workshop was made possible by the Ellison Miles Geotechnology Institute, Society of Petroleum Engineers-Dallas Section, Halliburton Energy Services, Williams Company, Devon Energy Company, Baker-Hughes Oilfield Services and Chesapeake Energy. Energy4me and the Society of Petroleum Engineers want to thank everyone involved. Learn more about careers in the industry. Vampire energy is electrical power used by appliances and equipment while switched off or not performing their primary function, often waiting to be activated. This loss of energy is known as standby or vampire energy, it’s fairly small but increasing in households across the globe. Modern appliances and electronic devices that have lights or digital displays receive signals continuously and act like vampires sucking energy even when they are turned off! Listed are a few simple things you can do at home to cut down on vampire energy. use a power strip for things like your computer, fax machine and printer and then turn the power strip off. Some of the biggest culprits that waste energy in our homes are the adapters that come with rechargeable or battery-powered devices such as cordless phones, cell phones, digital cameras, music players, and power tools. They can draw power when plugged in whether the device is fully charged or connected. By doing these simple tasks at home, you can save energy, save money, and take a bite out of vampire energy! Learn more ways to save energy! Participate in America’s Home Energy Education Challenge! It’s that time again: Back to school season is officially here! Time for students to prepare for the new experiences and challenges that they will encounter throughout the upcoming school year. One such challenge—from the Department of Energy in partnership with the National Science Teachers Association—aims to tap into the creativity and enthusiasm of students across the country. America’s Home Energy Education Challenge is designed to educate students in grades 3-8 about the benefits of energy efficiency, and motivate them to encourage their families and communities to put energy and money-saving ideas learned in the classroom into action at home. “This exciting competition is designed to inspire the next generation of energy leaders to take simple and affordable steps today that will save money and get them thinking about energy issues at an early age,” said Energy Secretary Chu. There are two ways for teachers, students and families to participate: The first is through the Home Energy Challenge and the second is through the Energy Fitness Award. Each is designed to encourage learning about science and energy with the added benefit of saving money by saving energy. The Home Energy Challenge encourages students to work with their families to reduce home energy use—monitoring energy savings over a three-month period. Schools with the highest number of points earned for reducing household energy usage, student participation, creativity and overall quality of their local energy savings program qualify for awards. The Energy Fitness Award is a separate individualized educational challenge scheduled to begin September 20, 2011. Modeled after the President’s Physical Fitness Test, the Energy Fitness Award encourages students to complete specific tasks, such as interpreting a home energy bill and learning how to conduct a home energy assessment, and then demonstrate their learning and proficiency. The Energy Fitness Award will challenge students to become smart energy users. Each student who successfully completes the components of the Energy Fitness Award will receive an Energy Fitness Badge. Participating schools and classrooms, as well as Home School networks, will compete within 11 regions for more than $200,000 in prizes distributed at the regional and national levels. Official registration for the Home Energy Education Challenge began August 15, and ends on October 7, 2011. Students are encouraged to register with their teachers by September 30, 2011 to take advantage of the full energy savings period. For more information, visit the Home Energy Education Challenge website. And for more on how saving energy saves you money, visit the Energy Savers and Kids Saving Energy pages. Also, visit energy4me.org for tips on how you can save more energy at home! Energy Education Materials are a Hit! Energy4Me materials developed in partnership with NEED are a huge hit and will be used by NEED’s trainers throughout the 2011-2012 school year. Throughout the year, The NEED Project (www.need.org) and Energy4me, the Society of Petroleum Engineers (SPE) energy education program, work together on many energy education activities including the Teacher and Student Workshop at the Offshore Technology Conference and the Teacher and Student Workshop at SPE’s ATCE. Each summer though, NEED’s energy programs get bigger and faster paced with so many kids and teachers to reach in only a few short weeks. This June and July were no exception with over 550 kids and teachers in Washington, D.C. to participate in the 31st Annual NEED Youth Awards for Energy Achievement. This event recognizes school groups who commit to learning about energy and to sharing their knowledge with their peers, their teachers and their communities. Students submit portfolios of their energy programming in April for review at the state and national level, and the winning schools come spend 4 days in the Nation’s Capital sharing their energy work, touring our monuments and museums, and meeting with elected and appointed officials. On a sleepy Sunday morning during the conference – the kids are up early and working on hands-on activities featuring the lessons provided by Energy4Me and some lessons that NEED and Energy4Me created together. The students are learning about porosity and permeability, and the work needed to bring oil and natural gas to market. They learn about transportation efficiency too and consider ways to make the vehicles of tomorrow and their own driving habits more efficient too. The activities from Energy4Me are engaging, fun, and provide students with the background they need to really understand the oil and natural gas resources we use each day. They leave with big smiles, new friends, and new activities to take home to their communities and share. As soon as the Youth Awards wraps up, NEED’s training team heads out to the NEED National Energy Conference for Educators. This year’s conference in Denver, Colorado hosted 150 educators from across the country and from Thailand and the Saipan. For a week, the educators were like students at summer camp – learning about each other and about energy so they could return to their classrooms and teach energy with excitement and fun. The Energy4Me activities and the presentation resources allow students and teachers alike to look more deeply into oil and natural gas development and use. This year’s opening speaker was Don McClure, Vice President for Community Relations, Legal and Finance at EnCana, one of America’s largest natural gas producers. Don’s extensive background in energy provided teachers with a look at how diverse the industry is, the number of jobs available for all types of students, and the challenges and opportunities that abound in developing natural gas in America. In the days that followed, teachers learned about density, drilling technologies, properties of oil and natural gas and are prepared to take the lessons home and open up the oil and natural gas world to their students. But that’s not all. After Denver, the team packed up and traveled to La Quinta, California for NEED’s Facilitator Training Conference. This conference is hosted every few years and brings together teachers, NEED’s training staff, and energy professionals from many companies and agencies to sharpen their facilitation skills, to train on new content and new materials, and to learn how to deliver energy curriculum and training to teachers in NEED’s 600+ energy trainings each year. This year’s group of 40 trainers rolled up their sleeves and researched and presented about America’s leading energy sources, they debated the advantages and disadvantages of the energy sources we use today, and they developed methods to share energy information with teachers and students nationwide. The It is a busy (but fun!) summer and together with SPE, NEED is reaching thousands of teachers and students each year. As America’s teachers head back to school this month, let’s take a minute to thank them and to encourage them to teach about energy as often as possible in class! For the 2011-2012 NEED curriculum guides or to register for a NEED workshop near you visit www.need.org!